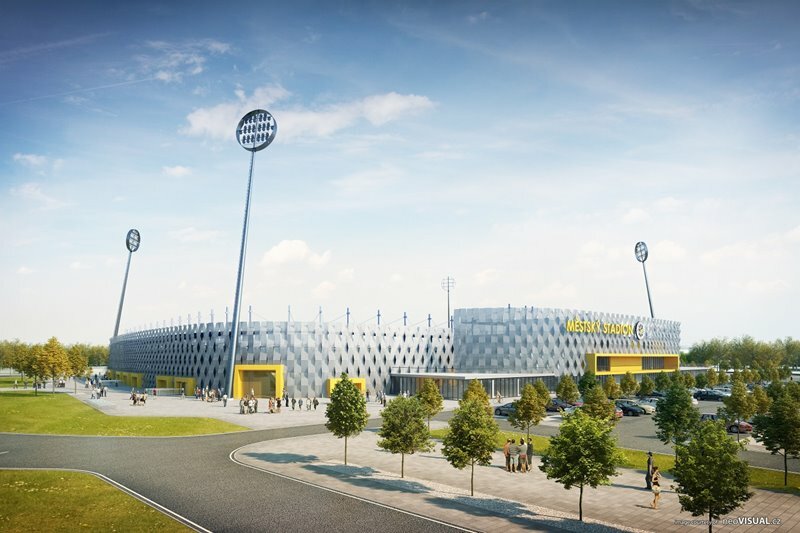 It’s already the third concept for a new football stadium in the Malšovice district, an evolution of the second one from 2015. 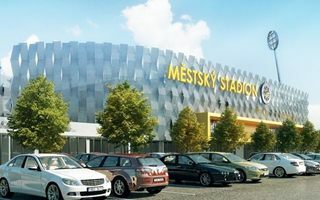 It also foresees the preservation of four legendary floodlight masts, called the lollipops (lizatky) – each 55 meters tall. 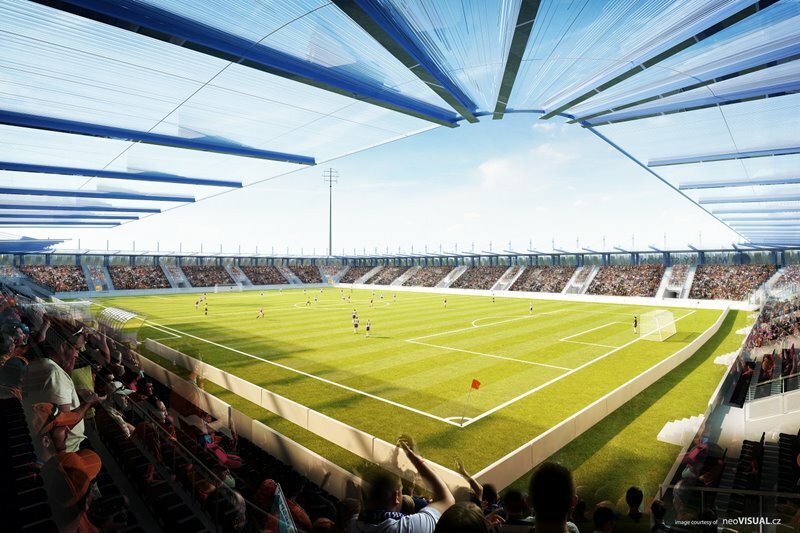 The stadium would be built between them and one of the key points is delivery in phases to allow constant use by FC Hradec Kralove. 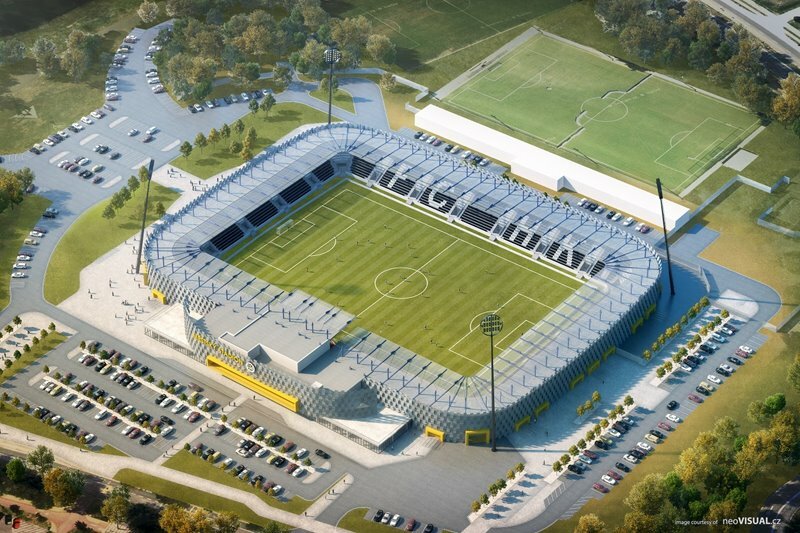 Built from scratch, the stands will offer over 9,000 covered seats, some 550 of which for corporate clients. Compared to the 2015 vision it will see slightly lower volume of the main building, but in turn a much more decorative outer wrap. 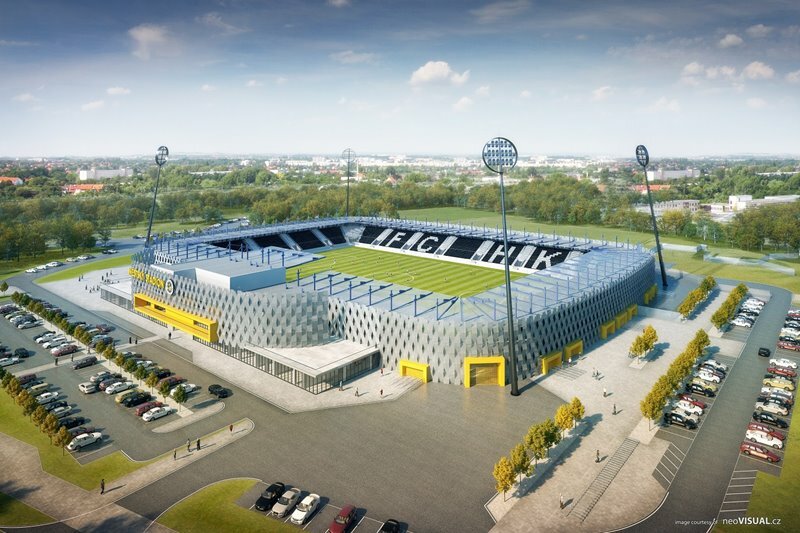 Expected to cost CZK 380-400 million, the stadium should be delivered entirely by 2020. The name is sweet and so is the design: simple, yet attractive. After 6 years of efforts (!) 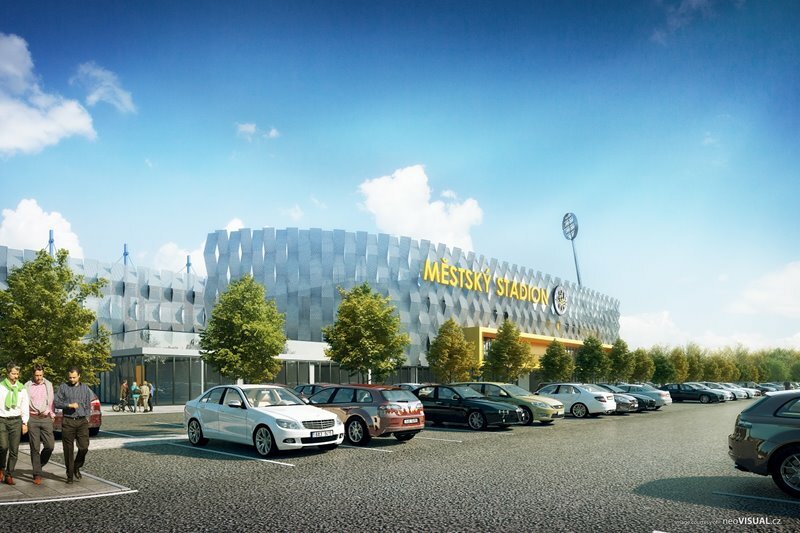 finally the planning permission is within reach and construction should begin by year end.